Monterrey is located in M�xico's northeast desert area at the edge of the Sierra Madre Oriental mountain range at an altitude of approximately 3000 feet. Monterrey spreads across the Rio Santa Katarina flood plain. Jagged mountain peaks, including the distinctive Cerro de la Silla, a saddle-shaped peak to the east, surround the city, making a striking backdrop. Monterrey is the capital of the state of Nuevo Leon, located on the northeast part of Mexico, just two hours from the state of Texas and an hour and 15 minute flight to Mexico City. Monterrey is a unique city which and often called the richest city in M�xico. Monterrey is also a surprisingly diverse tourist destination. It is well known as the prosperous and industrious city of the north of Mexico. 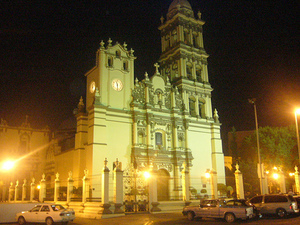 It is a city of major importance in Mexico and is known for being a great option for entertainment and cultural events. Today Monterrey displays colonial-era attractions, a vibrant cultural scene, fine hotels, stately museums, bold modern architecture and a refurbished city center. While it maintains its role as one of the country's most important industrial centers, an ambitious urban renewal effort has remodeled much of the downtown area into a modern city. 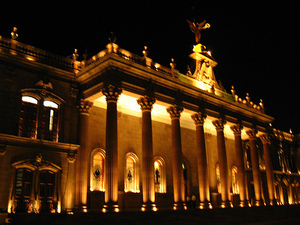 Monterrey has established itself as a significant cultural center. You will probably be pleasantly surprised when you discover the possibilities available. So as a powerhouse in the business arena, Monterrey has some of M�xico's largest companies based there. Monterrey is with no doubt the industrial pole of Mexico, due in part to the presence of approximately ten thousand industries of different specialties that operate in the state: food production, beer, tobacco, glass, cement, plate, steel, chemical products, equipment and machinery are just some of the most important production areas, among others. 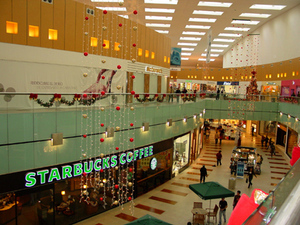 Its industrial nature, together with the fact that it is a border state, have made Monterrey a wonderful shopping center, as well as a major business center, since it has modern, functional malls, and hotels equipped with conference halls. It is also the site of the largest business and convention center in Latin America. The city has beautiful surroundings, with fascinating places for ecotourism and adventure tourism. Grottoes, cascades, dams, canyons, mountains and fascinating villages are just some of the attractions that visitors will discover in the outskirts of Monterrey. So, come to the Rio Gande Valley of Texas and let McAllen Texas be your gateway for a short trip to the Industrial city of Mexico and enjoy its fascinating attractions, scenery, and great hotel infrastructure from International hotel chains to regional, but no less great hotels. There is a wide range of hotels in Monterrey for every type of budget. There are a lot of comfortable modern hotels for businessmen who travel frequently to the city. There are also several Diamond Category hotels that offer all types of facilities for your business meetings as well as for your pleasure trips. The hotels and services infrastructure in the city Monterrey covers the needs of anyone who is willing to be surprised by this great city. Monterrey is ready to receive you with its wide selection of hotels. In the downtown area alone, in the hotel district, there are 8243 rooms and 80 conference halls each with a capacity of up to 1000 people, all of which are near the downtown tourist attractions and just minutes from the Fundidora Park. The city of Monterrey possesses a slightly radical climate, with quick changes in the weather possible at any time, summer or winter. 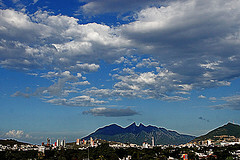 The evenings can get downright cold in the winter and summers in Monterrey are usually very hot. Afternoon rains come during the summer months, mainly late June to September. Normally the rain lasts for only a few hours after which the sun comes out and the air is much cleaner. November to June are most often the driest months.